While side-eye can be a hilarious, mostly healthy way for humans to interact with one another, it means something completely different when a dog does it. And that’s often not a good thing. Let’s break down the whole “doggy side-eye” situation. What Does Dog Side-Eye Even Mean? Whale eye usually foretells some kind of aggression. It can occur when a dog is guarding something carefully, be it a chew toy, their favorite hooman, or (most often) food, and suddenly feels threatened. First of all, it’s okay. The world isn’t ending and your dog isn’t a bad dog. In fact, this is pretty common behavior for dogs to exhibit. Obviously, that doesn’t mean we want them to keep doing it, but it’s important to realize this doesn’t mean you have a defective pup. He’s still the adorable, hilarious, wonderful, [insert adjective here] little guy or girl you love. When coming across this sort of behavior, you should definitely give your pup the space they’re asking for. Back up and analyze the situation. Did you get too close to the bone they’ve been hiding for 72 hours? Are you about to step on their favorite toy? Or if you’re a dog, are you thinking that their bed is for sharing and are you’re about to place your dirty paw upon it? Any of these things could trigger a defensive response, and the whale eye is a warning. If your dog is guarding certain high-value items – like a bone, special treats, a specific toy, etc. – it’s probably worth it to take them away. If the high-value item is you and they’re giving side-eye to someone else, be cognizant of the behavior. Remove them from your lap while that someone is visiting you and don’t let them lean up against you. Much of what’s required in mitigating this behavior is just removing the cause from the situation. 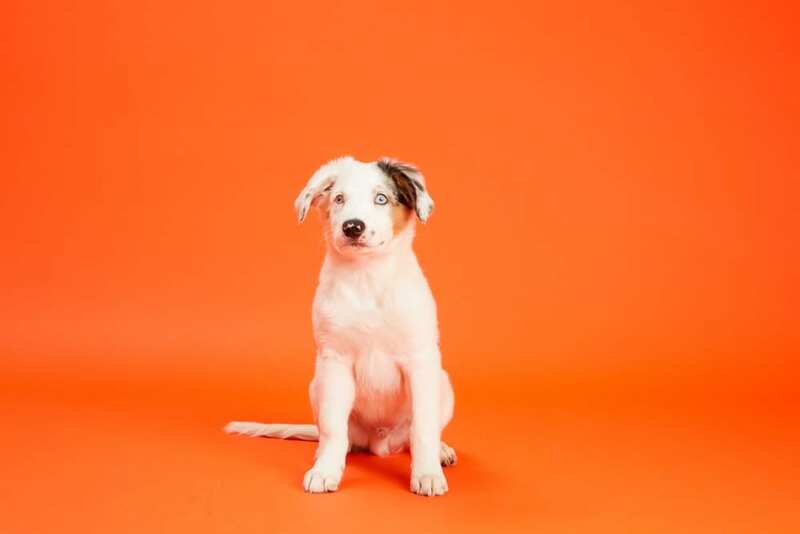 If you’re dealing with significant reactivity and stress-related issues, it might be time to contact a trainer or a dog behaviorist. There’s a notable difference between whale eye and a regular side gaze. Notice your dog’s body. If they feel threatened, they’ll appear rigid or tense. But simply looking away is a dog’s way of saying he means no harm. Any dog owner can sense when their dog is stressed. Whale eye is only one of many body languages dogs express when experiencing discomfort. It’s important to be as intuitive as your pup is. Make sure to never reprimand them for showing signs of anxiety, but instead, evaluate the context to see what you can do to ease your dog’s mood. Looking For More Articles About Stress And Anxiety? What Toys Can Reduce Anxiety For Dogs?